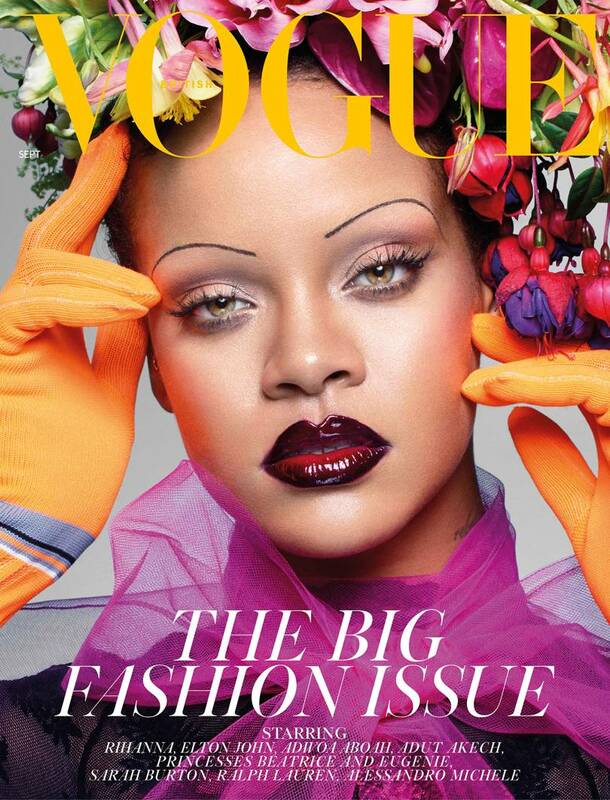 Superstar Rihanna is floral fantasy as she cover fashion Bible Vogue UK's September 2018 edition, and stars on two different covers. 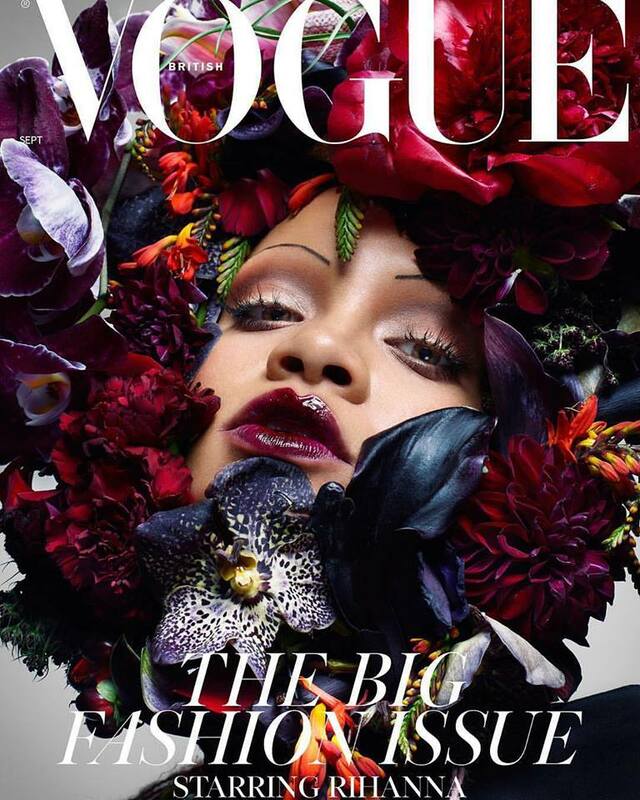 Photographed by Nick Knight, with styling by Edward Enninful, Rihanna gets her close-up for both shots, surrounded by bright and whimsical flowers. Sporting very thin eyebrows, Rihanna talks about her famous curvy physique, and flaunts avant garde ensembles. Seen in a ruffled Alexander McQueen dress for one shot, Riri wears a selection of elaborate floral headpieces for the shoot. The star also wears thigh-high boots, mesh leggings and pastel eyeshadows with bold lips, and is a vivacious and sultry image for Vogue UK. The Barbados based songstress is the first black woman to cover Vogue's British edition, and covering a September issue is even more worthy in the fashion world as it is the highly coveted issue of the year.